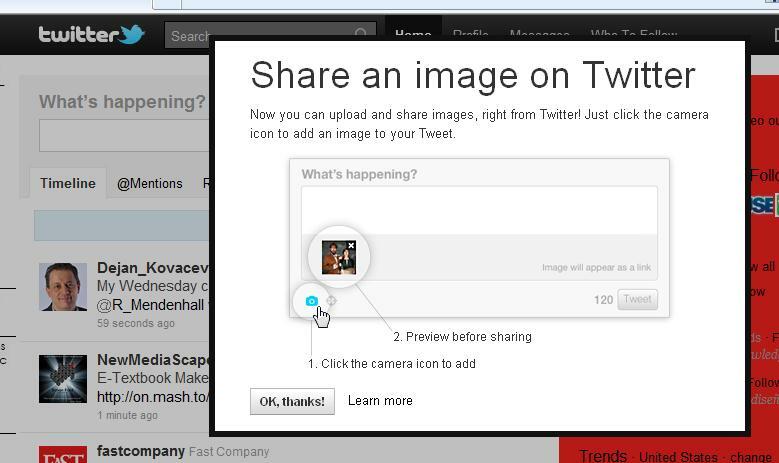 The other day when signing into Twitter I saw this pop-up about sharing images. Now the social networking site has made it easier to engage your community with photos. 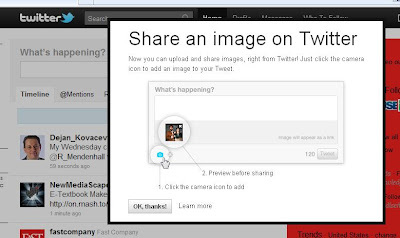 Users can even preview the content before hitting the “Tweet” button. Most recently, the Huffington Post reported more Twitter changes. These updates are most likely stemming from features utilized on Tweetdeck, an application that Twitter acquired earlier this year. More content will be coming to the @Username tab on the Home page. 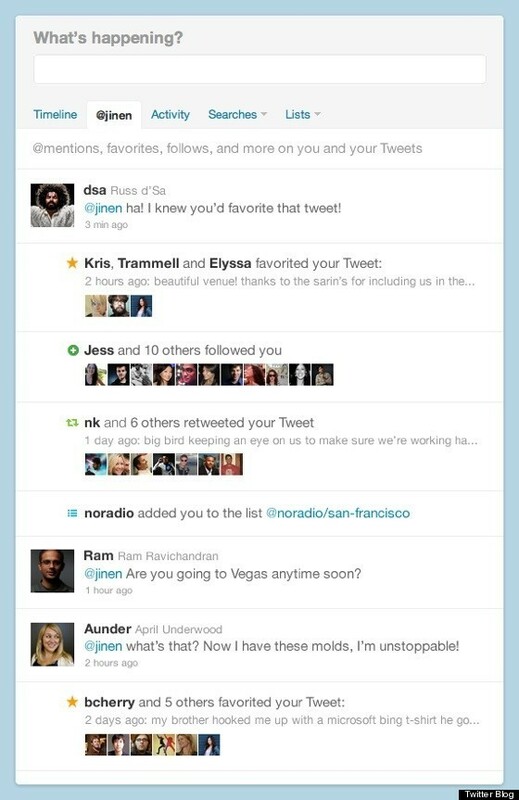 Users can see who has tweeted about them, favorited a tweet from them, retweets of their tweets from followers, as well as mentions of their @username handle. Users will be able to monitor when new followers start following their account. A new stream will be added under the “activity” tab. Users can monitor what other tweeps on the platform are discussing or sharing, other tweets that followers are favoriting or retweeting, and the web of new followers who follow others will also be monitored in this tab. In my opinion, these changes will make engagement on Twitter even easier because activity and interaction with an account will be kept all in one place. Screen shot to the right courtesy of Huffington Post.